Planning chiefs in St Helens have given the green light to proposals for an urban skate park in St Helens town centre. The site will be based between Chalon Way car park and Foundary Street. 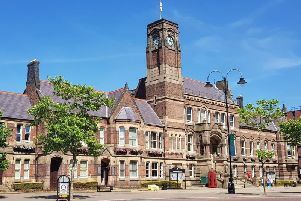 A decision was taken through delegated powers by development control manager at St Helens Council, Melanie Hale. “The proposal complies with the development plans and would improve the economic, social and environmental conditions of the area,” the decision notice said. St Helens-based arts agency Heart of Glass will manage the site.